A study into some of the earliest known pottery remains has suggested that the rise of ceramic production was closely linked with intensified fishing at the end of the last Ice Age. Scientists examined 800 pottery vessels in one of the largest studies ever undertaken, focussing mainly on Japan- a country recognised as being one of the earliest centres for ceramic innovation. A three year study led by researchers at BioArCh, the University of York, concluded that the ceramic vessels were used by our hunter-gatherer ancestors to store and process fish, initially salmon, but then a wider range including shellfish, freshwater and marine fish and mammals as fishing intensified. Scientists say this association with fish remained stable even after the onset of climate warming, including in more southerly areas, where expanding forests provided new opportunities for hunting game and gathering plants. The research team were able to determine the use of a range of ceramic vessels through chemical analysis of organic food compounds that remained trapped in the pots despite ca. 10,000 years of burial. The samples analysed are some of the earliest found and date from the end of the Late Pleistocene – a time when our ancestors were living in glacial conditions – to the post-glacial period when the climate warmed close to its current temperature and when pottery began to be produced in much greater quantity. The study has shed new light on how prehistoric hunter-gatherers processed and consumed foods over this period – until now virtually nothing was known of how or for what early pots were used. 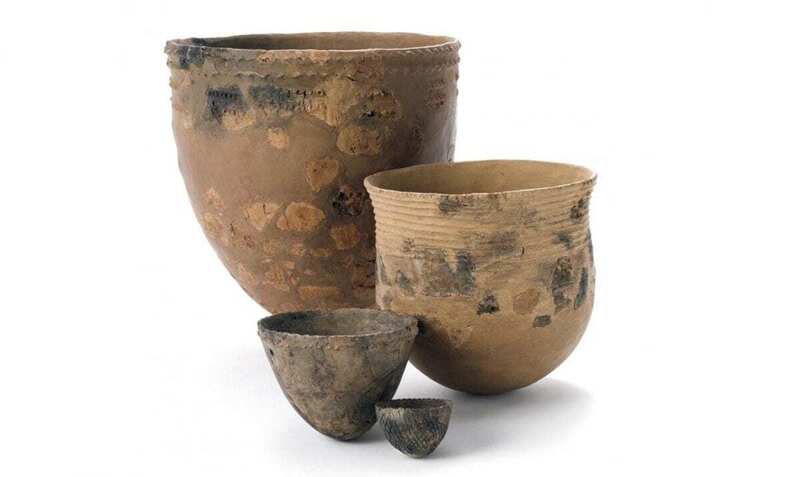 As part of the study, researchers recovered diagnostic lipids from the charred surface deposits of the pottery with most of the compounds deriving from the processing of freshwater or marine organisms. Lead author, Dr Alex Lucquin, from BioArCh, Department of Archaeology, University of York, said: “Thanks to the exceptional preservation of traces of animal fat, we now know that pottery changed from a rare and special object to an every-day tool for preparing fish. “I think that our study not only reveals the subsistence of the ancient Jomon people of Japan but also its resilience to a dramatic change in climate. Professor Oliver Craig, from the Department of Archaeology and Director of the BioArCh research centre at York, who led the study, said: “Our results demonstrate that pottery had a strong association with the processing of fish, irrespective of the ecological setting. “Contrary to expectations, this association remained stable even after the onset of warming, including in more southerly areas, where expanding forests provided new opportunities for hunting and gathering. The findings are published in Proceedings of the National Academy of Sciences and the study was funded by the AHRC. It was an international collaboration including researchers in Japan, Sweden and the Netherlands.